Lizzy looked gorgeous at the 2013 CFDA & Vogue Fashion Fund Event in West Hollywood, Calif. on Oct. 23. We chatted with her makeup artist to bring you her exact look! 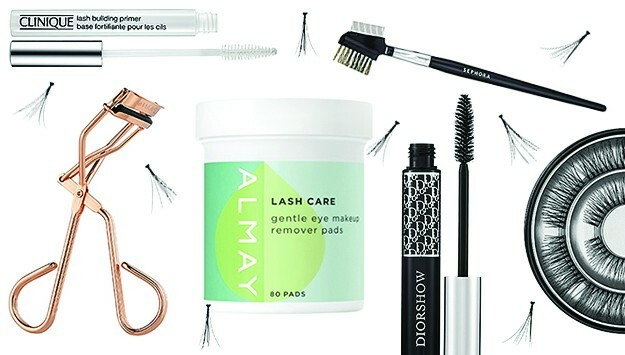 Celebrity Makeup Artist Jamie Greenberg created the pretty look for Lizzy Caplan at the event, held at Chateau Marmont, and is breaking down the exact steps and products used below! Check it out! Jamie tells HollywoodLife.com: "I started by applying mark Get a Tint Tinted Moisturizer SPF 15 to Lizzy's skin to create a perfect base. Then I used mark Save the Day Anti-Acne Concealer Stick to treat any imperfections. I followed by brushing mark Just Blushing Powder Blush in Charmed and mark Light Show Illuminating Powder to her cheeks to add healthy and warm glow." "I defined her eyebrows by using mark Brow Factor Hook Up Clear Brow Gel. Next, I used the mark 10th Anniversary Eye Shadow Palette on her eyes and swiped the second color (pink/copper shade) across her lids. I created a serious cat eye by using markWhat a Line Felt Tip Eyeliner in Wee Hours followed by mark Get in Line Eyeliner in Painted Black to reinforce the look. To complete her eyes, I applied two coats of mark Scanda-Lash Go-To-Mascara in Blacklash." "Lizzy's eyes were the focal point for this look, so I wanted to keep her lips neutral. Therefore, to add the finishing touch, I used mark Pro Gloss Hook Up Plumping Lip Shine in Swell."